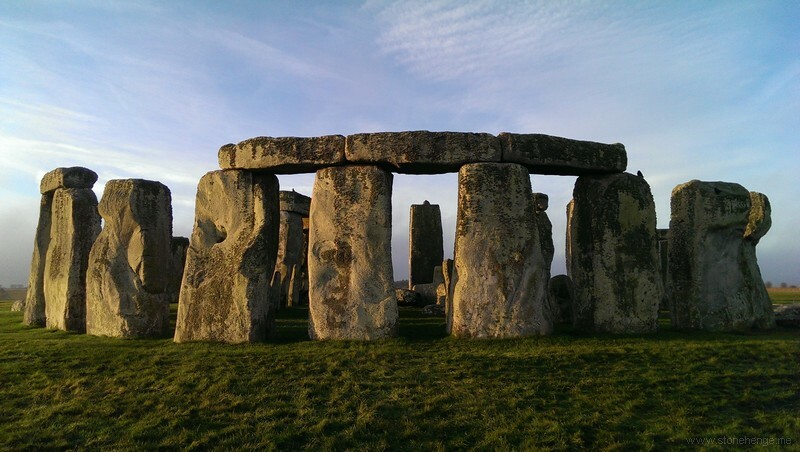 The Stonehenge, Avebury and Associated Sites World Heritage Site Management Plan 2015 was launched on 18 May 2015. This is the first joint Stonehenge and Avebury WHS Management Plan and replaces the Avebury WHS Management Plan 2005 and the Stonehenge WHS Management Plan 2009. It has been compiled by Sarah Simmonds (Avebury WHS Officer) and Beth Thomas (Stonehenge WHS Coordinator) of the Stonehenge and Avebury WHS Coordination Unit based at the Wiltshire and Swindon History Centre in Chippenham. 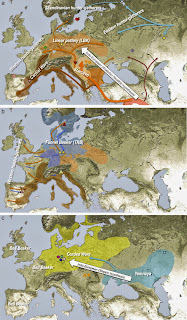 4,500 years ago a massive European migration occurred. We show that the populations of Western and Far Eastern Europe followed opposite trajectories between 8,000–5,000 years ago. At the beginning of the Neolithic period in Europe, ~8,000–7,000 years ago, closely related groups of early farmers appeared in Germany, Hungary and Spain, different from indigenous hunter-gatherers, whereas Russia was inhabited by a distinctive population of hunter-gatherers with high affinity to a ~24,000-year-old Siberian6. By ~6,000–5,000 years ago, farmers throughout much of Europe had more hunter-gatherer ancestry than their predecessors, but in Russia, the Yamnaya steppe herders of this time were descended not only from the preceding eastern European hunter-gatherers, but also from a population of Near Eastern ancestry. Western and Eastern Europe came into contact ~4,500 years ago, as the Late Neolithic Corded Ware people from Germany traced ~75% of their ancestry to the Yamnaya, documenting a massive migration into the heartland of Europe from its eastern periphery. This steppe ancestry persisted in all sampled central Europeans until at least ~3,000 years ago, and is ubiquitous in present-day Europeans. These results provide support for a steppe origin9 of at least some of the Indo-European languages of Europe.